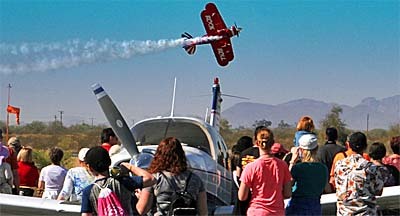 The Copperstate airshow is on in Arizona! 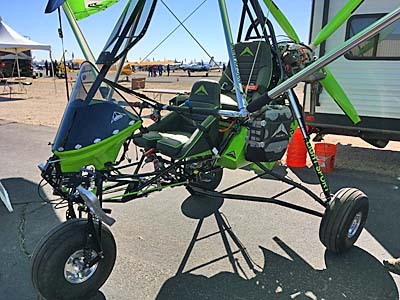 Put on by a new combination of Copperstate leadership in cooperation with the town of Buckeye Arizona — which has been hosting its own Buckeye Air Fair — the new event is off and running in its new time slot of early February. For most of its 46-year-long life Copperstate has been in October. Showing the city's support, both Buckeye's Mayor and Vice Mayor were present at opening evening ceremonies. Some 20,000 people are expected. Videoman Dave and I are on-site and working. We've already captured a few new interviews for you. On Day 1, one aircraft in particular caught our eyes. 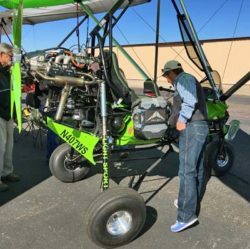 The Copperstate airshow is on in Arizona! 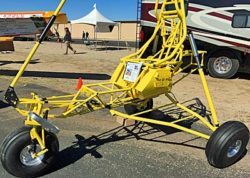 Put on by a new combination of Copperstate leadership in cooperation with the town of Buckeye Arizona — which has been hosting its own Buckeye Air Fair — the new event is off and running in its new time slot of early February. For most of its 46-year-long life Copperstate has been in October. Showing the city’s support, both Buckeye’s Mayor and Vice Mayor were present at opening evening ceremonies. Some 20,000 people are expected. Videoman Dave and I are on-site and working. We’ve already captured a few new interviews for you. On Day 1, one aircraft in particular caught our eyes. Wild Sky Goat In many years of reporting on light aircraft, I have flown a lot of weight shift control trikes. 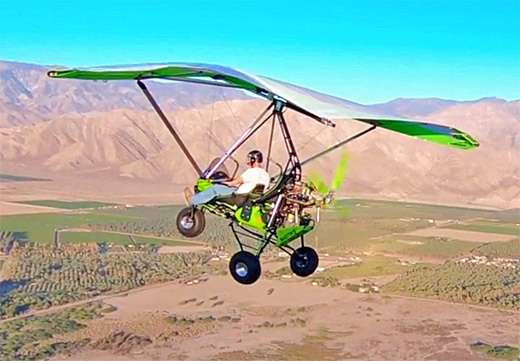 I love flying trikes. I’ve flown simple ones, super-deluxe ones, tough ones, and ones that weren’t so tough.